Can cannabis help you chill? If you only had three words to describe the stoner in your life, I’m willing to bet the word “chill” makes the rank. Cannabis has been classically associated with hippies, peace, and relaxed dispositions. It can evn be argued that anxiety is the most common ailment that warrants a medical marijuana prescription. Without a doubt, cannabis has been touted as the ultimate “chill pill”. Shockingly, cannabis is actually classified as both a depressant and a stimulant. As we discuss in our Energize post and page, ingesting cannabis puts your endocannabinoid system into overdrive which, depending onthe strain, can give you what will seem like endless energy. However, the focus of this post will be on why cannabis can help you chill as well as unveiling the chillest strains of cannabis. Your nervous system (the network of neurons that run throughout your body and brain) has an “autonomic” component. 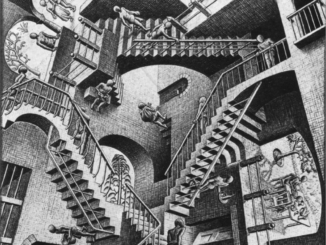 That is, there is a portion of your body that reacts to stimuli automatically — outside of conscious awareness. Your autonomic nervous system is split into two main categories: sympathetic and parasympathetic. Both of these serve a strong evolutionary purpose. The sympathetic nervous system, also known as your “flight or flight” system comes online when you detect danger and need to either prepare to defend yourself from death or run for your life. Altenatively, your parasympathetic nervous system controls things like sexual arousal and digestion — the things you shouldn’t be doing if you’re fighting or running for your life! The parasympathetic nervous system is appropriately named the “rest and digest” system. Your autonomic nervous system is jam-packed full of CB1 receptors which serve either excitatory or inhibitory roles on either the sympathetic or parasympathetic nervous system. Since cannabis excites CB1 receptors, that means cannabis can directly impact your body to either chill you out or psych you up! Research has shown that cannabinoid-mediated inhibition of electric potentials results in a reduction in noradrenaline release from sympathetic nerves. That’s a mouthful, but if you break it down that means cannabis can inhibit (i.e. calm down) your sympathetic nervous system. Since the sympathetic nervous system is repsonsible for creating tension, inhibiting it, makes it less likely for you to be filled with anxiety. Cannabis won’t necesarrily prevent you from being anxious, but, in the right cases, it will make it significantly harder. Since the sympathetic nervous system is repsonsible for creating tension, inhibiting it, makes it less likely for you to be filled with anxiety. Cannabis won’t necesarrily prevent you from being anxious, but, in the right cases, it will make it significantly harder. Cannabis strains vary in their cannabinoid ratios and terpenes. These differences are what drive the classic distinctions between Sativa, Indica, and Hybrid. However, just because you pick a Indica strain from the dispensary, doesn’t mean you’ll “chill out”. Unfortunately, the wrong strain of cannabis can leave you feeling anxious — the polar opposite of your intent. A majority of this has to do with the fact that everyone has a different baseline of CB1 receptors in their autonomic nervous systems. Thus, the same strain of cannabis can make you feel anxious and render me chill as a cucumber. This problem of personalization is the motivation behind WoahStork. The remainer of this post willl focus on the chillest strains of cannabis as determined by our Strain Genie algorithm. That brings us to the point of this article: what are the chillest strains of cannabis? What are the chillest strains of cannabis? The WoahStork Strain Genie worked hard to reduce your search space when looking for the right strain of cannabis for your medical ailments or recreational desires. We divided almost every single strain of cannabis into six activity groups. One of those groups is “Chill”. Inside that category you will find the chillest strains of cannabis. 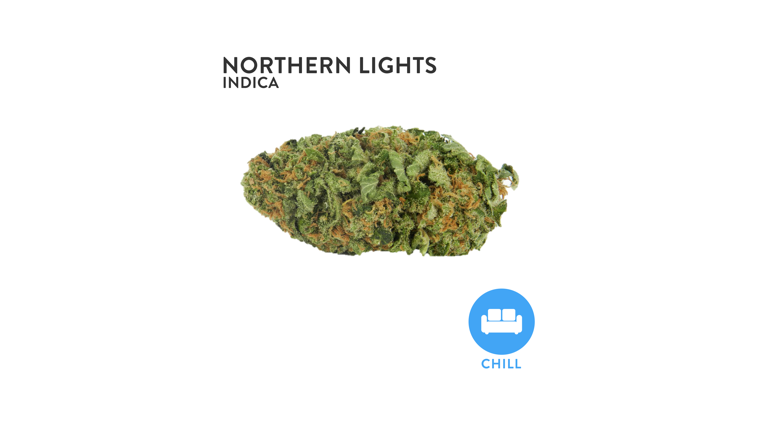 Below, you’ll find the description we use to describe the strains found in our Chill category. If the following description appeals to you, you’ll definitely want to place an online order with WoahStork for any of these strains! Long day at work? Walk through the door, eye your couch, and sigh with relief? It’s time to “Netflix and Chill”. We bet nothing feels more relieving than throwing on the TV or curling up with a good book and letting the troubles of the day melt away. Predominantly Indica-dominant hybrids, these strains are great for providing a relaxing body high, helping you relieve muscle tension. Much like how a good massage promotion relaxation from body to mind, these strains can help you chill-out by melting away the cortisol you’ve stored in your muscles over the course of a stressful day. 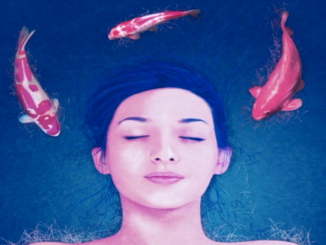 While these strain will leave you floating in the serene, they are not too overwhelming and, unless you are too drained form the day, won’t necessarily put you to sleep. What makes these strains so relaxing is their complex terpene profile. Not only do they provide you with a burst of THC, but terpenes such as myrcene (present in a majority of these strains) and linalool interact with the THC to create a calm and blissful state. Get ready to feel the body buzz that many Indica lovers have come to enjoy over the years. Whether you are looking to relieve some back pain, or simply want to kick back and relax on the couch, these strains will certainly yield you the classic chill factor that’s commonly associated with cannabis. OG Kush is known for being a potent stress reducer. It needs almost no intoduction. A classic in Souther California, this strain will start you out with a slightly euphoric and cerebral head buzz that keeps your mind occupied while its knockout-heavy body stone sneaks up on your and sweeps your feet right out from underneath you. Skywalker OG is a strong indica cross between Skywalker and OG Kush. Skywalker OG has a jet fueled spicy aroma which will leave you feeling relaxed, euphoric, and happy. Its medical uses include ADD/ADHD, anxiety, migraines, and nausea. With WoahStork, you won’t even need to put down your light saber to get your hands on some Skywalker OG. This strain will take you to an island on the beach! Banana Kush smells and tastes like tropical fruits, banana with faint hints of melon and spice. This strong hybrid gives all of the best effects one needs for medicating. A hybrid of Ghost OG and Skunk Haze, Banana Kush delivers the bodily pain relief and relaxation of an indica, but retains a euphoric sativa buzz that still allows for creativity and socializing. Great for migraines, insomnia, stress or tension. These strains should be just as effective in helping you relieve stress, reduce anxiety, and chill than just about any pharmaceutical out there! With less side effects than most prescription pills, strains in the Chill category are definitely worth checking out before reaching for a chill pill. You can even order online for pickup or delivery! WoahStork is a marijuana app that allows you to order cannabis online from nearby dispensaries. Simply upload your government issued ID and doctor’s recommendation (if you’re looking for medical marijuana), and you’ll be able to place online orders for pickup or delivery within minutes! We also have a vast database of strains for you to review, compare prices, and order online! If you don’t know where to start, our Strain Genie will give you a personalized strain recommendation for any medical ailment or recreational occasion! The more you order and review, the more cannabis rewards you get – redeemable for steep discounts on cannabis from nearby dispensaries. We hear a lot of people asking “can you buy weed online legally”? With WoahStork, you cannot only buy legal weed online, but you can buy cheap weed online! Whether you’re looking for cannabis oil, a cannabis Sativa, a cannabis Indica strain, weed brownies, marijuana seeds, or even weed tampons, you can find them at a marijuana dispensary and actually order online with WoahStork. Sativa vs Indica Strains: Is There Any Truth To The Dichotomy?